I thought we’d try something new this month. I love hearing stories from inventors about how they got their products to market. As someone who speaks to inventors all the time, I’ve heard some great, inspirational stories that include tips and tricks we can use with our own products. One of those inventors is Lori Barzvi. Like so many inventors, she came up with a solution to her own problem. But her inventing journey took place over a number of years and involved a sea of highs and lows. Her tremendous entrepreneurial will and determination is strongly linked to a family tragedy. On September 10, 2001, her brother, Guy—29 years old and making a six-figure salary at Cantor Fitzgerald in the World Trade Center—told her he was unhappy with his job. He was working 16-hour days, including a long commute, and felt he had no work-life balance. He wanted to do something more entrepreneurial. He died the next day in the 9/11 attacks. To this day, she embodies the notion of loving what you do for a living and never giving up. 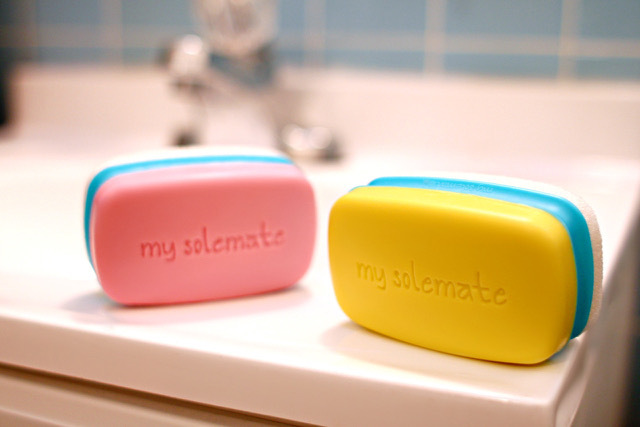 That has made her product, My Solemate, the Amazon Top Seller it is today. It was 2008, and Barzvi was a salsa dancer who owned a Latin and ballroom dance studio in New York City. Her feet were always dry from dancing. 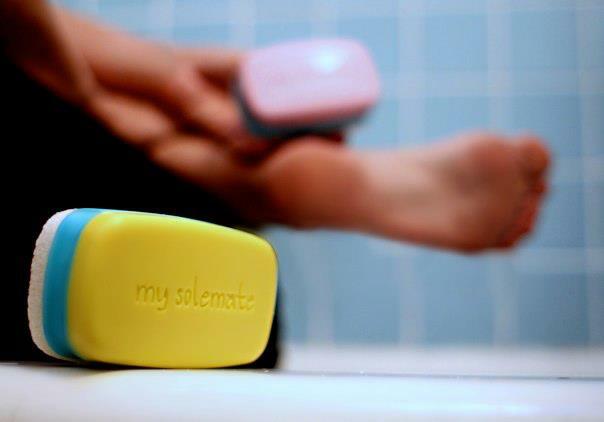 “Every day in the shower, I’d use a pumice stone and soap,” she recalls. “I’d pick the soap up, use it and put it down and pick up the pumice stone. And I’d alternate that routine over and over every day. But Barzvi didn’t know how to develop a product or get it to market. “So I started asking everyone I knew,” she says—while keeping her eyes wide open. “I had worked in direct marketing, so I called my old boss and shared the idea with him and he put me in touch with an Infomercial company. The infomercial company put me in touch with a manufacturer they knew in China. I sent them my hand-drawn idea of what I was looking for and over the course of the next year, we developed the product through a series of back-and-forth emails. Literally, it was all done over email. Remaining aggressive and with a nothing-ventured,-nothing-gained approach, Barzvi sent a sample to “Good Morning America” for review for a segment the show was doing on infomercial products. The end of an inspiring inventing story, right? Not quite. She soon learned the hard way about the difficulties of maintaining ongoing sales traffic. New hope emerged soon after when Barzvi was contacted by Time Life, which was looking to get into direct response television with tangible products. Little did she know that another dance with disappointment loomed. “I was due to receive a 5 percent royalty, but they saw pretty quickly that it just wasn’t hitting the numbers they needed to be successful. When they called to give me the news that they were backing out and that the product rights would revert back to me, I was devastated. I knew that to be successful, I would have to start knocking on doors of places like Bed Bath & Beyond, and I just didn’t want to do that. In retrospect, the break gave Barzvi time to step back and re-energize, to look at her invention from a fresh perspective. She had put her project on the shelf for nearly four years and was back in Direct Marketing in 2014, when she saw another possible option that jibed with her long-term business goals. “I saw a Facebook post about selling on Amazon. I had never even bought anything on Amazon, but I was intrigued. 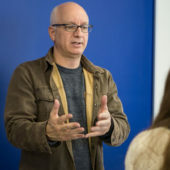 I wanted to do something entrepreneurial, so I took a course on selling on Amazon by buying products at off-price stores like TJ Maxx and Marshalls, and selling them on Amazon for more than I paid. She took a chance and called the warehouse that was supposed to have destroyed all of her product. Fortunately, that never happened. Barzvi highly recommends selling on Amazon as a path to get a product to market, compared to licensing. Currently she’s working on more products that she plans to license into different categories. “I’ve gotten to know myself very well throughout this process, and I know what I’m good at and what I’m not as good at,” she says.